We are the Ochoa team. And although not all of us share the same last name, we work as a team to make Ochoa brand a synonym of quality and love for wine. We are a family united by great wine. Ochoa’s vineyards are looked after during 365 days per year in organic manners. We prune our vines to reduce yielding and increase concentration in the coming harvest. Each harvest in September is different and each grape has its own rhythm, where we adapt to obtain the best from nature. Most of the times we harvest early morning to keep the grapes fresh from vine to winery, avoiding loss of aromas and assuring the quality of our wines. The winery team controls the arrival of the grapes, the fermentation process and the ageing of the wines in barrel and bottle. From there, the sales and admin team continues the chain to get to you the best of us: our wines and gastronomic products. If you wish to visit us, we are happy to open our doors for you and to join our wine glasses. 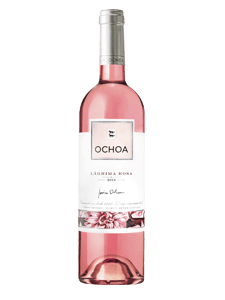 We are the fifth and sixth generation of a wine-making family who, along with our co-workers at Bodegas Ochoa, get up every day with a clear aim in mind: to work the land, striving without reserve to produce quality wines while keeping true to our principles, our land, and our history. Our wine begins at home, on our own land, with our own vines, and is made and bottled in our own winery. We have every respect for the soil’s natural balance and we are a leader in wine R&D. 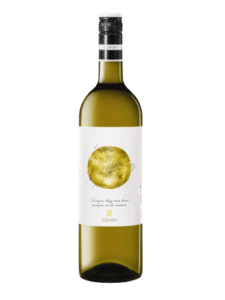 In recent years, we have extended our production to include Extra Virgin Olive Oil from Arbequina & Koroneiki olives and Agraz-Verjus (verjuice). I was born in Pamplona, some distance from the vineyards, but it wasn’t long before I was running through them. 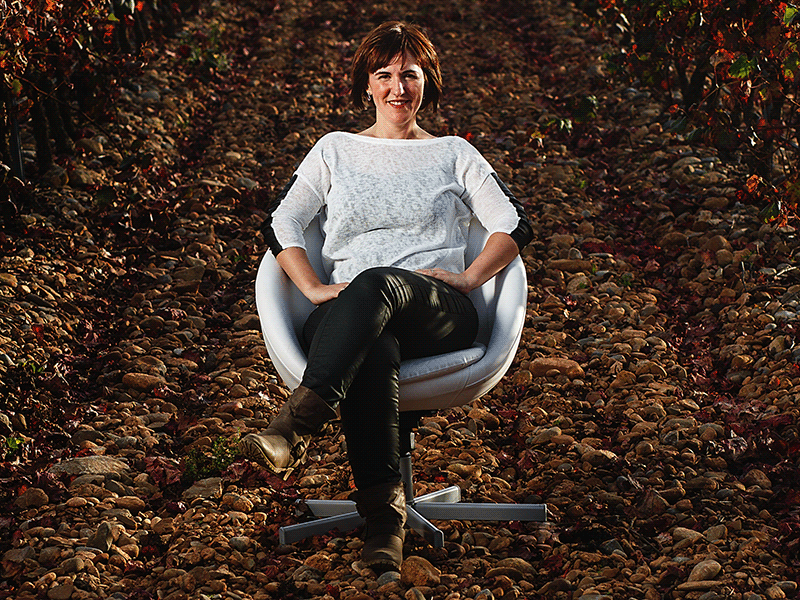 I began my oenological studies in Requena, where I qualified as a Master Winemaker before doing further training in Madrid and Bordeaux. Probably the strongest influence on my career came from the 11 years I spent as Director of Oenology at the Estación de Viticultura y Enología de Navarra (EVENA). 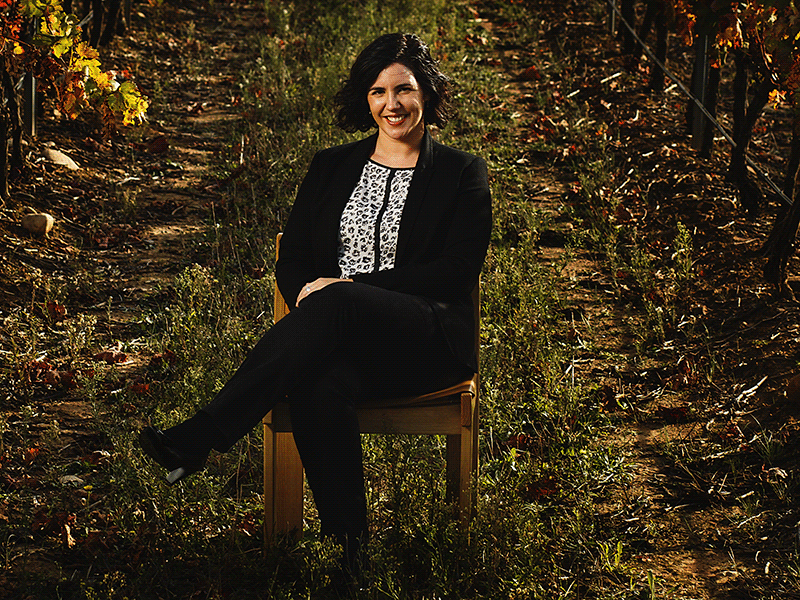 They led to my decision to devote myself along with my wife, Mariví, to running my own winery on a full-time basis. I believe in respecting the environment and in the idea that it will always respond if you look after it. I see this as our recipe for success. We give our wines the utmost care right from the start: on our soil. I also have a deep belief in the value of research and the new technologies, as long as they are respectful of nature and benefit the environment. 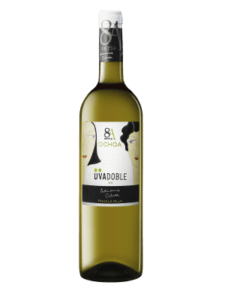 This is how we came to be the first winery in Spain to undertake, with VDTI support, an R&D project aimed at producing the sweet white Muscatel wine that is our pride and joy to this day. 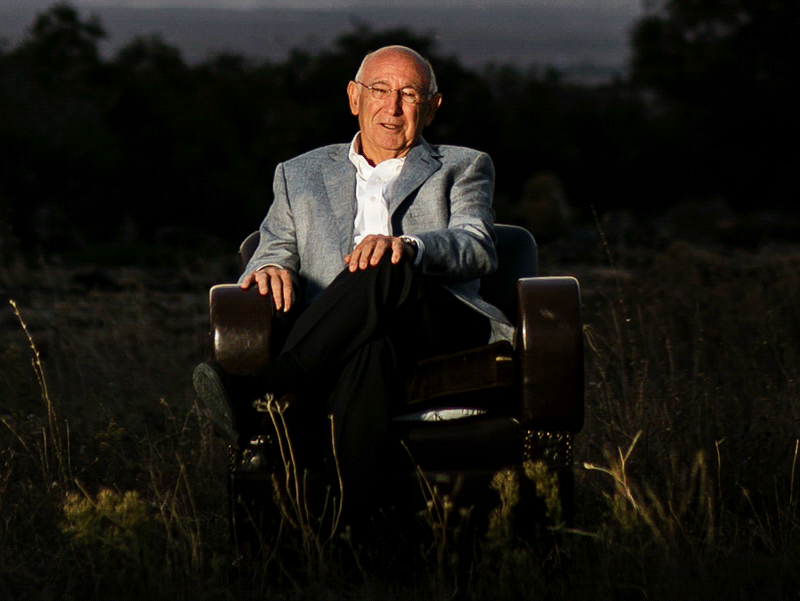 I am a proud father and a contented grandfather, I have planted more than one tree (at Bodegas Ochoa we have 50 hectares of oil-producing olive trees) and I have written a book: ‘El Vino y su Cata’(Wine and Wine-tasting). I am also proud to be the number one member of the Cofradía del Vino de Navarra (Navarra’s Wine Guild ); Honorary Member of “les Compagnons du vin” of Bordeaux; Honorary Member of the Serenísima Orden de Caballeros del Vino of Catalonia; and member of the Gran Orden de Caballeros del Vino, founded by Vinos de España in London (ICEX) since 1998. I have received numerous awards throughout my career, but the best, without doubt, is to see my family matching my own enthusiasm for what has been the focus of my life. You could really say that we are a family of five, because wine is definitely one of us. I like it because it is special. For this, we reserve the best grapes of the harvest; hence the name, “Reserva”, they are reserved to be the best. It is ripe and complex, yet elegant and silky. A great example of who we are. This wine is one of our flagships; the outcome of what constituted in its day a pioneer R&D project in Spain (1994). I like its gentle sweetness, which took so much time and care to achieve. It makes me immensely proud. Even before meeting Javier, I was already in love with wine, with which I have always lived in close contact because my family run the “Hotel Maisonnave” in Pamplona. Javier and I were determined that we would one day devote ourselves exclusively to our own winery. I actually started to do so while Javier was still working for Evena. It was then, as I took care of the administrative and customer-service side of the business that the family started jokingly to call me “boss”. Those years were anything but easy, but they bring back very fond memories. We have always been keen to innovate, ready to push ahead into new markets. 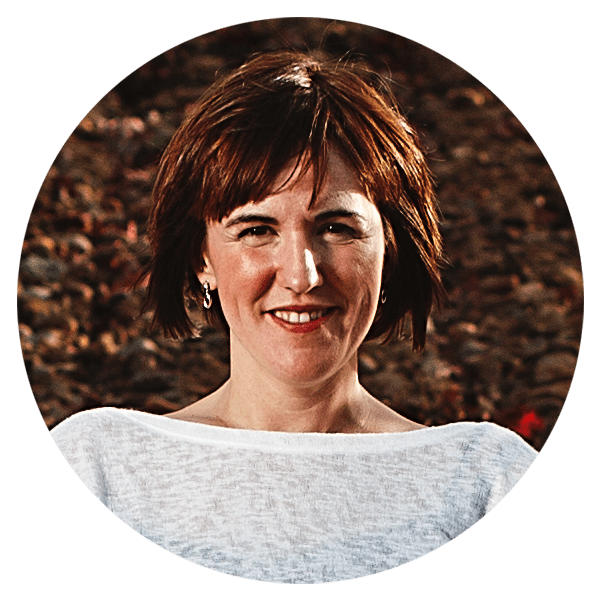 We ventured abroad, leading the way into Denmark, Switzerland, England… before any of the other wineries, and I think that is what drove our will to innovate in other ways. The best thing about our winery is that it exudes so much more than just a passion for wine. 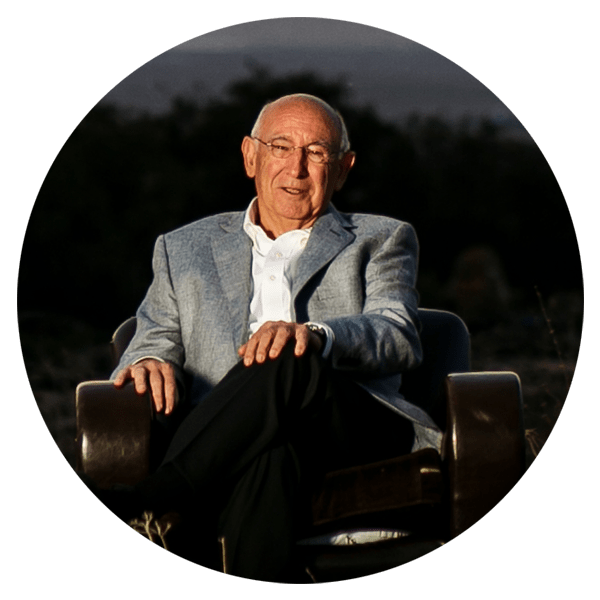 I believe we are the privileged owners of a winery with soul; this is why we are so convinced that Bodegas Ochoa will carry on for many generations to come. A great deal of work goes into this wine. From the start, we placed our trust in what we considered the best choice of method: sangrado or bleeding. Quality has always been our top priority. This wine took our best efforts and we are confident that it is the best we could possibly make from our own grapes. I love it for its physical features but also for what it means to me. Not only for its color, its aromas, its roundness in the mouth… but because it is also the hallmark of our winery and our passion for wine. 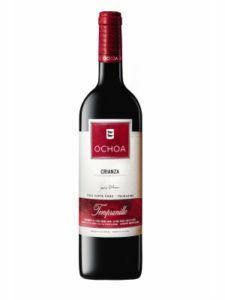 The Ochoa Tempranillo Crianza says a lot to us… and also to our palates! Everyone says my father and I are sooooo alike. There are also plenty of ways in which we are different. But I can’t deny that I see myself in him more and more every day. We both like to take our time and think things through, but once something captivates us we are unstoppable… like a couple of whirlwinds. I set out at the age of 18, when I decided to pack my bags and go and study oenology in Bordeaux, with hardly any knowledge of French. I soon felt at home there. We were not cooped up in a lab in white coats for our oenology classes; we were out in the fields in rubber boots. That was part of why I fell in love with what is now my profession. Contact with the land, the soil, getting my hands full of mud and my mind full of games with the elements. After that I went on to see more of the world. 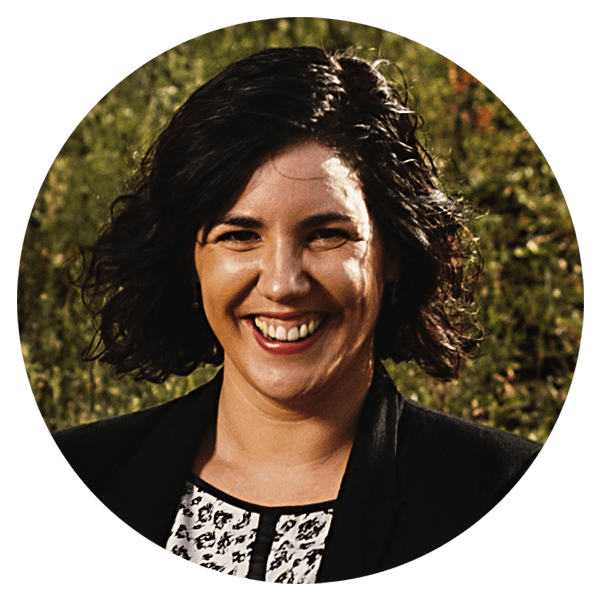 I worked in France for Pichon Comtesse de Lalande, then I spent some time at Torres, one of the biggest wineries in Spain; and, later, moved by another bit of passion for wine and a desire to see what it was like on the other side of the world, I set off for Australia to work for Yalumba. After a time, I came back to Spain but not right back home. 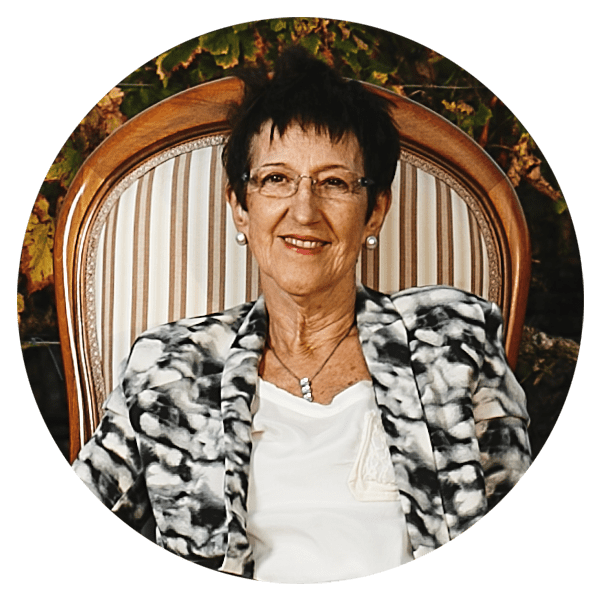 I worked for Nekeas for a time and from there I came to Olite, to our own winery, where I have remained, learning every day from my family, not only my own flesh and blood but also the larger family of those who work with us. Apart from being the responsible winemaker of the winery, I run the technical side of the business in vineyard and winery. Beatriz and I have an enormous challenge ahead of us. We have inherited a centuries-old family legacy. It is our duty to keep it going and, if possible, improve it. It is a huge responsibility. Of course… when we are passionate about something… energy tends to spiral upwards, and here we are, innovating, but always with full respect for our parent’s good practice and that of generations past, and filled with passion and enthusiasm to keep Bodegas Ochoa a wine reference. I like this Wine because of its freshness and balance. Because of its delightful oak ageing and its aroma. But most of all because of its history behind. It is a tribute to our grandfather Adriano Ochoa and his passion for friendship. He always had a special wine in his winery for them. This wine is special because it is dedicated to friendship, to family, and to the moments that we share with them with a glass of wine because they become better moments. 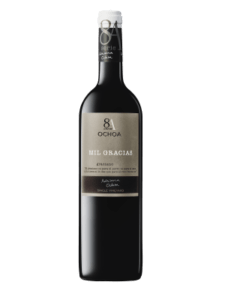 I am in love with Graciano, a special grape generally used in blends. My challenge was to create a wine that was 100% Graciano, balanced, full of flavor and surprising. And I managed it! It is a new-style wine made from a varietal that has long been grown in our vineyards and now plays the star role in 8A Mil Gracias. This is my Italian- inspired wine, a semi-sweet, fresh, subtle, elegant wine with its own identity. I love its delicate bubble and its adaptability. 8A Moscato tastes good any time, any place. Just find the right company and the pleasure will be huge. I sometimes wonder whether the milk in our feeding bottles didn’t have a few drops of wine in it. Like my sister, I have inherited the love of good wine and the philosophy of taking the utmost care with every detail to ensure that Ochoa wines are of the highest quality. It is my job to make our winery and its wines known to the entire world and to promote sales of our products. I never thought I would end up working in the winery. Until 2009, all I wanted to do was learn, see the world, travel and, unconsciously, I guess, acquire all the knowledge I needed to help me make our winery that little bit better. I had been working in England for several years, when one day I felt I was ready to put everything I had learned into the fifth member of our family: the wine. I am responsible for the Marketing of the winery. I was years travelling from one place to another: Madrid, London, NYC, Berlin, Dublin, Copenhagen, Tokyo… Always very well represented with our wines. 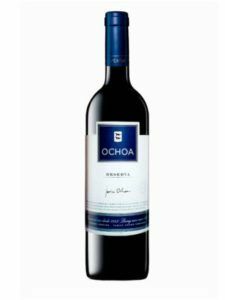 I have now taken the admin management of Bodegas Ochoa together with Marketing and support to the sales team. 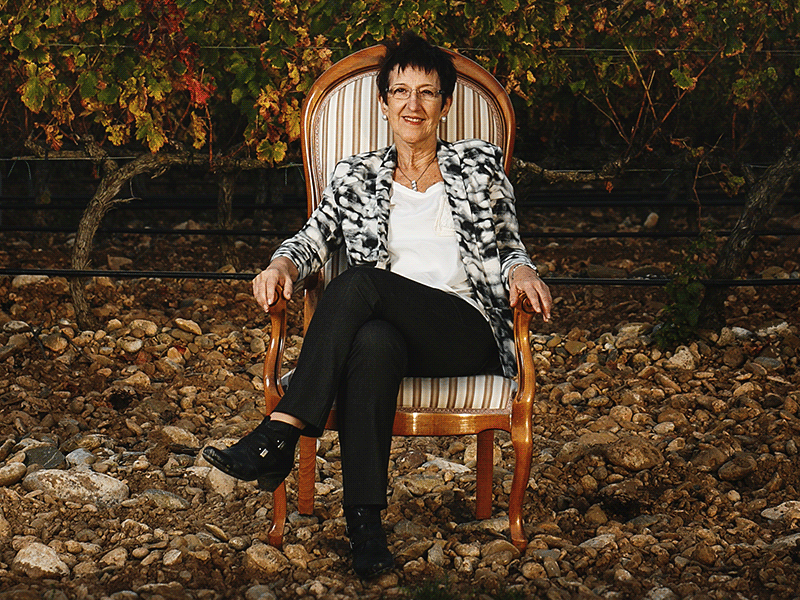 I am very happy to know that I work for the business that my family has built and promoted and that our wines, the most loved ones of the house, are valued for people around the globe. The happiest moment of my travels is to enter a restaurant and see consumers enjoying them, knowing their meal is complete with an Ochoa wine. Ochoa Calendas is like me in a way. It is the winery’s youngest wines and the freshest and most lively. It like its ability to fit in anywhere, its new design, the history it encloses and the fact that it reflects the magic of every moon. 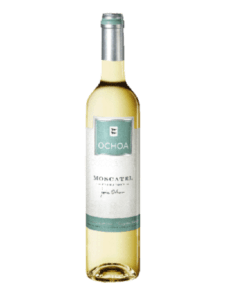 This wine gives us great satisfaction and I can honestly say I love it; for its flavour, its balance; for its popularity; for the affection it inspires both here in the winery and among our customers. Tempranillo rules!! Adriana and I are sisters and we are used to borrow things from each other, so I take this wine from Adriana’s series to be one of my favorites. 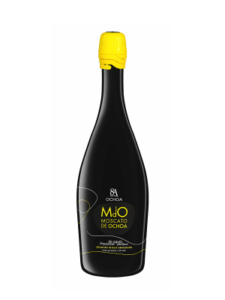 I like it because of the perfect blend of grape varieties and for the fruit aromas and its great complexion. And of course for the family history. 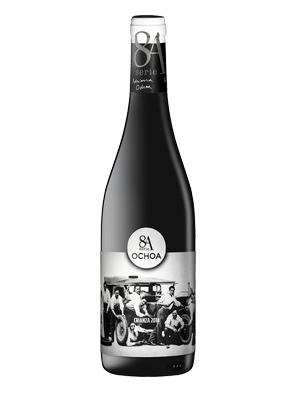 When Adriana came back from Australia to work in the family business and after some years she created this wine inspired in what she lived there. I am proud of seeing that what we do in life is working very well.